The Business Improvement District for Royal Leamington Spa covers the centre of the town and contains the main retail and leisure areas. The district was defined through consultation with businesses to ascertain common issues that affect their environment. If you are unsure whether your business falls within the BID boundary, please contact us. Businesses within the BID area derive from a wide range of categories, both national and independent. 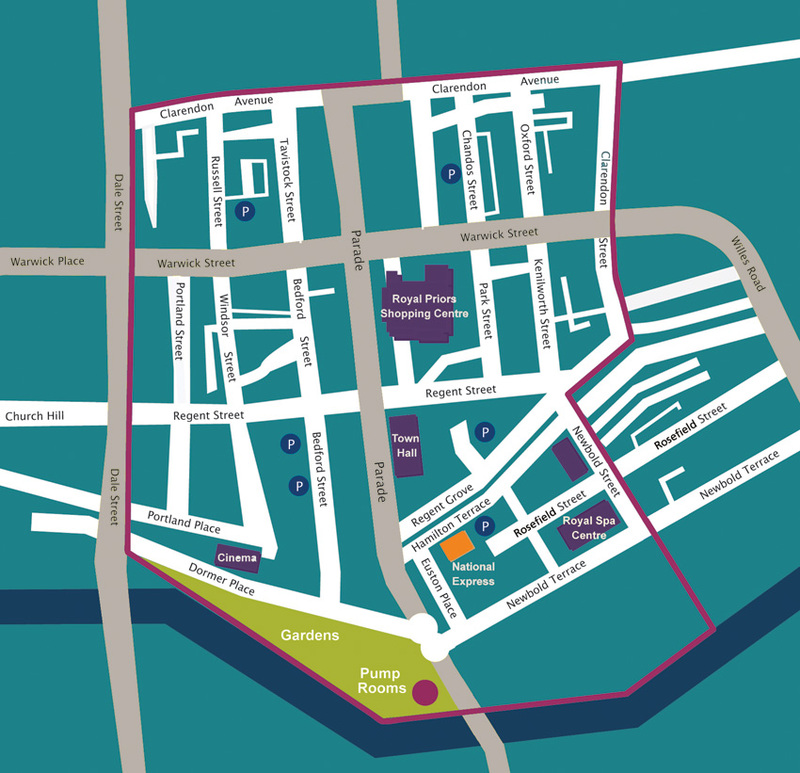 Business located outside of this area, but with the ‘town centre’ boundary as defined by the Local Plan can join BID Leamington and benefit from BID activities on a voluntary bases. The annual membership levy will be calculated the same way i.e. 1.5% multiplied by the ‘rateable value’ of a property (as found on the VOA website).